Last night, an ice hockey game Montreal Canadiens vs. Toronto Maple Leafs was on, and even though we could see it on TV in the hotel room, we went to a sport bar to eat and watch the game. 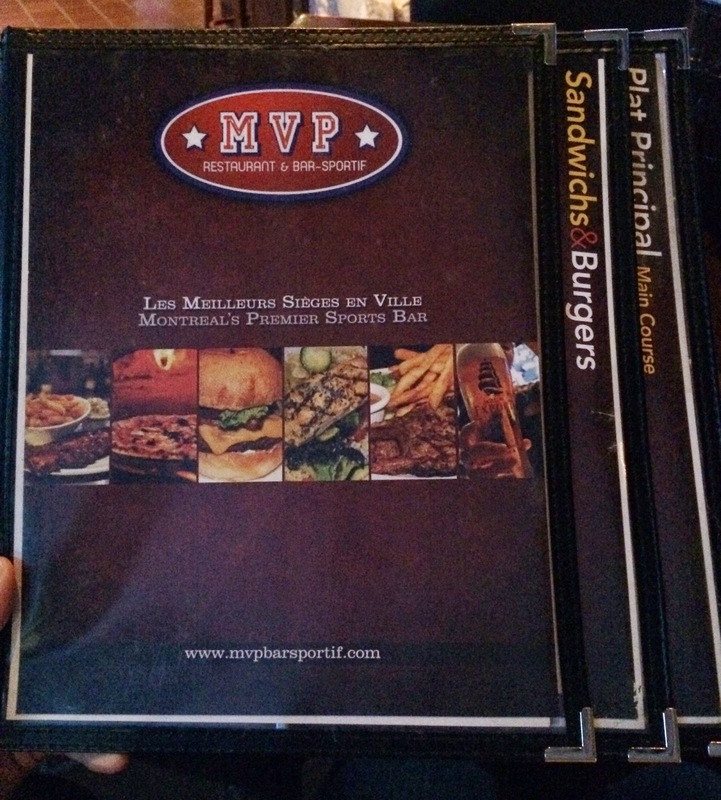 My husband found a sport bar called "MVP Restaurant & Bar-Sportif" on St-Catherine, and though it's a big game, we could get a table. 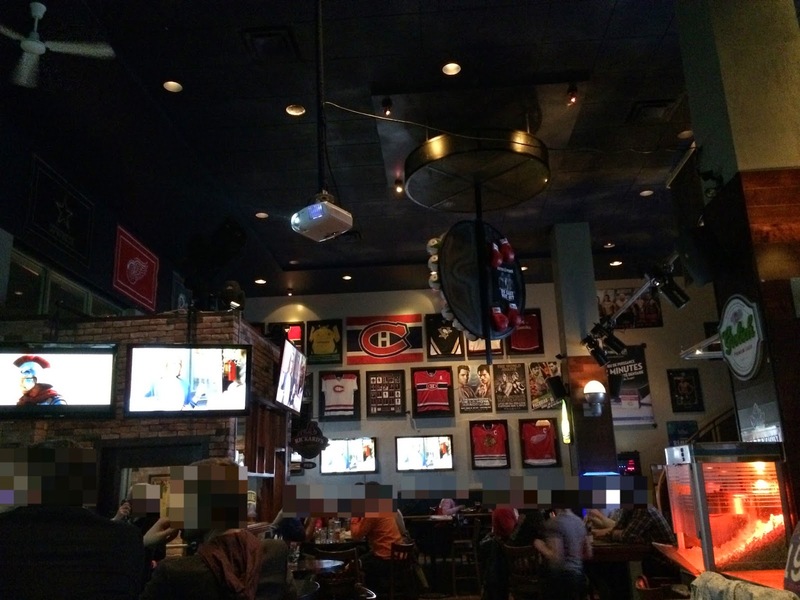 It's a vast and 2-story restaurant and every time Montreal Canadiens scored, they used special effects and lit up the ceiling. 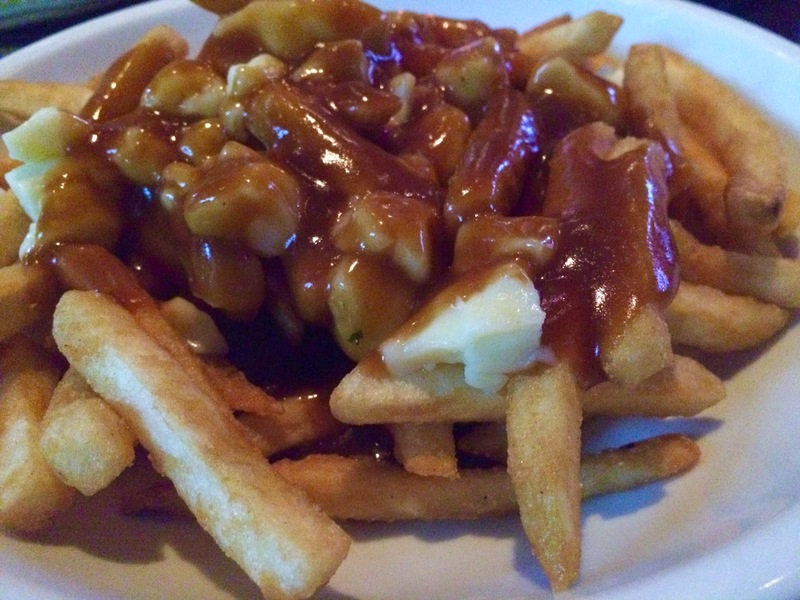 I got a regular poutine. 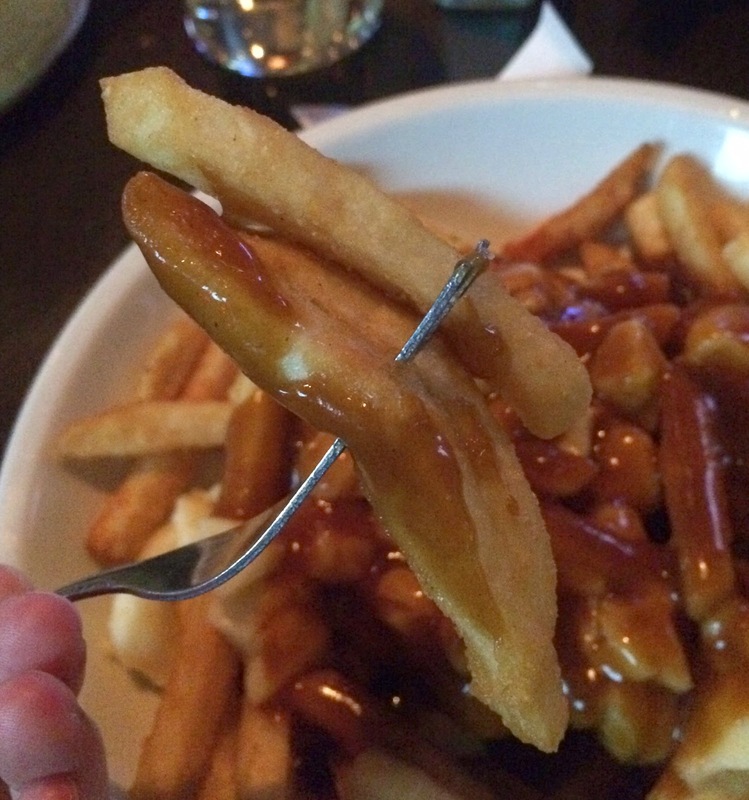 Thick fries were crunchy, and crispy outside. The color was pale and it didn't have burnt smell so that they might have not fried twice. 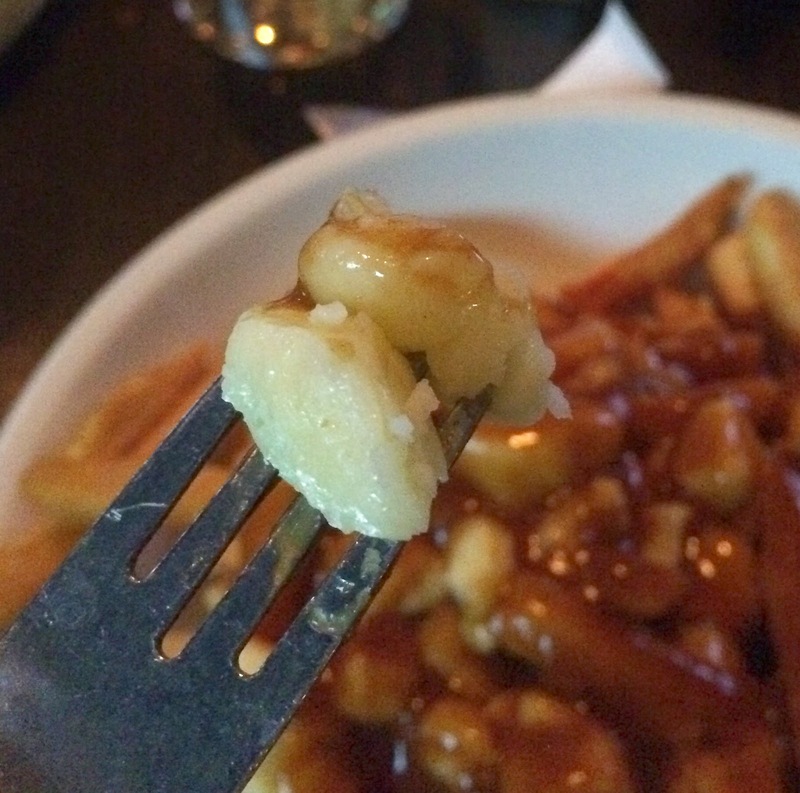 Cheese curds were soft and some were stringy due to the heat. 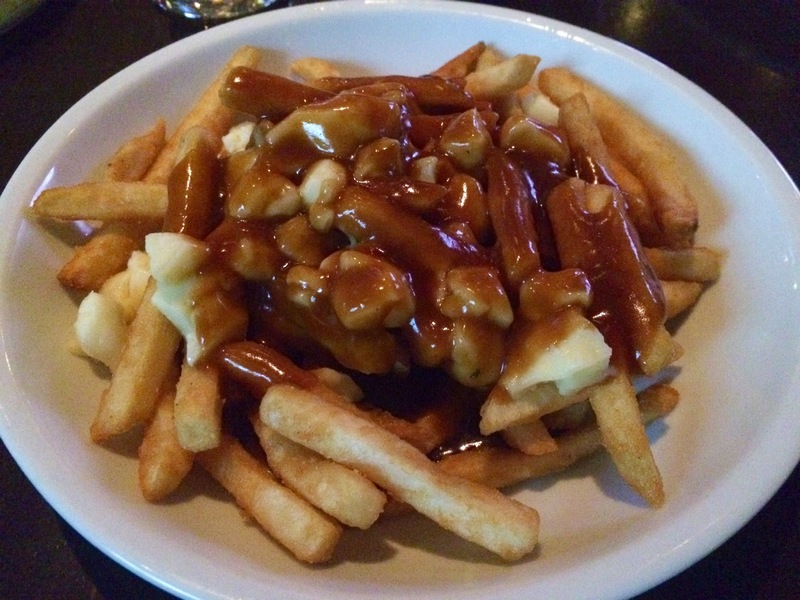 The gravy sauce wasn't too salty, had no bitterness or no sweetness, and it's a basic and plain gravy which I like. The employees were friendly, and drinks and foods came out smoothly. And the chairs were squashy and there're many TVs so that anywhere you sit, you can see the monitor well.